We were just waiting for the official confirmation and it is here. Google has today officially announced the launch of the Nexus 7, which has been built by ASUS and arrives on the Android 4.1 Jelly Bean. The Nexus 7 as the name suggests is a 7 inch tablet and is basically integrated to the Google Play which lets users have a great experience of the Play wit Apps, Music, Movies, Books, Magazines and Games. The Nexus 7 is up on orders over the Google Play Store and is available in the US, Canada and couple of other countries. More countries will be added later. 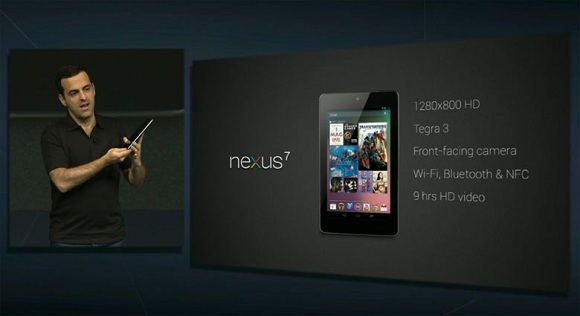 Nexus 7 would ship in mid-July and is priced at (as expected) $199 for the 8GB version and $249 for the 16 GB version.